Posted in: Horizon Hobby, Radio Control, Vaterra. Tagged: New Releases. We have just received word that the much anticipated Vaterra Halix is now in stock at Horizon Hobby. 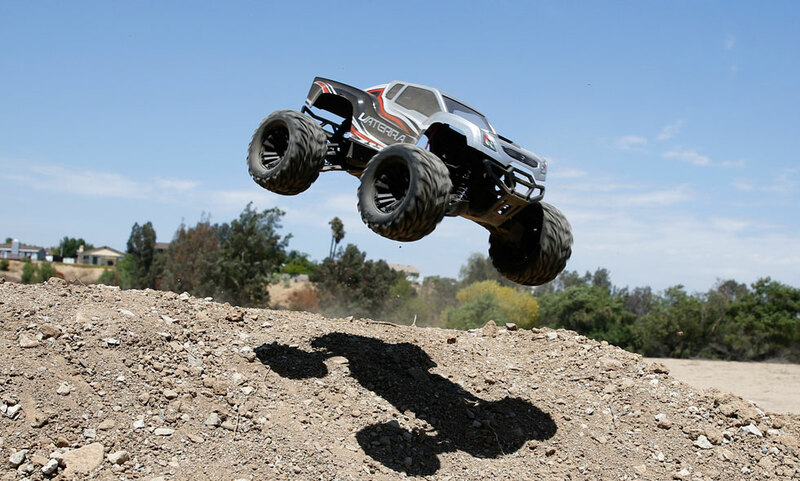 This 4wd 1/10 scale Monster Truck features Waterproof Electronics, a Dynamite Fuze 3300kv Brushless Power System which is capable of handling 3S batteries and a massive 4-pole torque for speeds over 55MPH. The Halix also comes with a Spektrum DX2E V3 Radio System including a SPMSRS4200 AVC receiver. It has a list price of $429.99. Vaterra has come up big again, the young brand have already built a great reputation and continue to build on it. I believe Vaterra have another hit on their hands, the Vaterra Halix is going to be on a lot of Bashers wish list this holiday season, mine included.